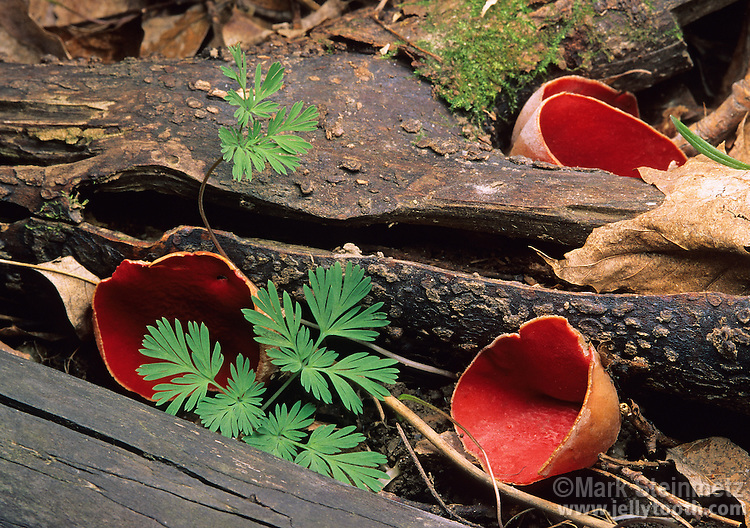 Scarlet Cup (Sarcoscypha austraica). Spring fruiting cup fungi in eastern North America. Richland County, Ohio, USA.